"Glass-enclosed Ocho at the historic Havana seamlessly brings the outdoors in. Sun-splashed by day and chandelier-lit at night, the casually elegant restaurant is tucked among the tropical greenery overlooking the River Walk. 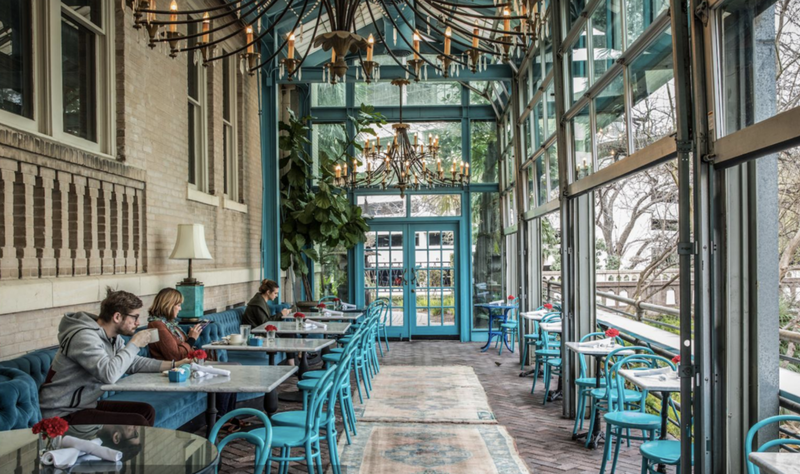 There is outdoor seating on the patio, but arguably the best seats in the house are the plush, blue banquettes inside Ocho’s stunning steel-and-glass conservatory." "Great Southern Inns And Resorts For Porch Sitting"
"While it’s not the typical Southern porch, it’s the ideal spot to take in the evening, with a specially made craft cocktail (the menu focuses on tequila and Cuban rum) in hand." "Ask a Local: An Insider's Guide to San Antonio, Texas"
"For sure get a Cuban breakfast plate at Ocho, which is the restaurant for the Hotel Havana downtown." "Where to Splurge and Save in the U.S., Central America, and Mexico"
"Ocho Restaurant is perfect for a breakfast of robust coffee and plantain griddlecakes; at night, drink cocktails served with Latin-style snacks." 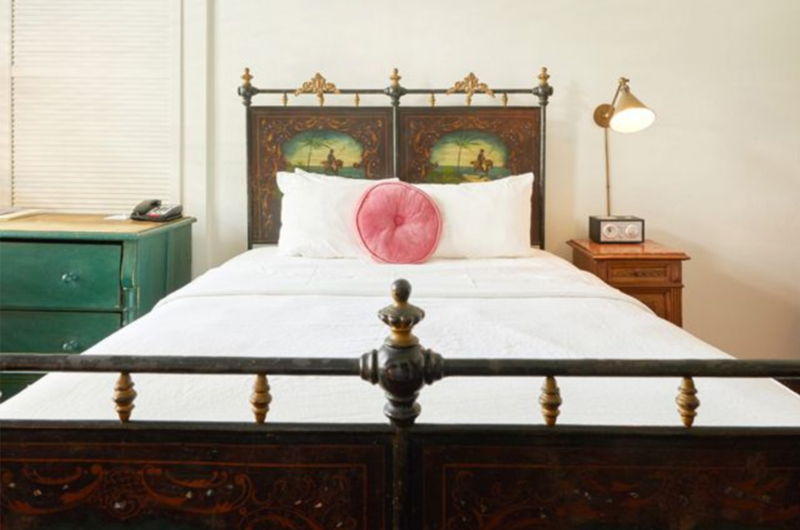 "50 Stunning Hotels You Can Actually Afford"
"Rich woven rugs cover beautifully weathered wood flooring, while retro radios and refrigerators, and a mix of vintage and cast iron bed frames make each guest room feel truly unique. Located right next to the popular San Antonio Riverwalk, the location could not be more perfect — a cozy place to call your temporary home."